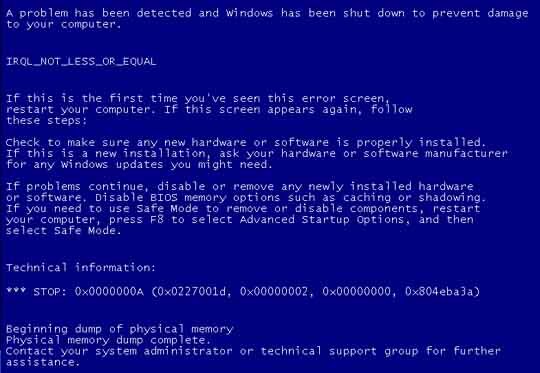 You guys may have experienced Blue screens in some part of your life, but do you really know how to handle what is so called BSoD? *When you encounter a Blue screen here's what you have to do. Some technicians don't know this and just reformats your Harddisk.. Reformatting is not always the answer.. and yes! this deletes your files. this link holds common stop error codes.. other codes may be found on other sites.